Our new Victorian shaped Christmas ornament features a hand painted green decoration, gold trim, and a red crystal. 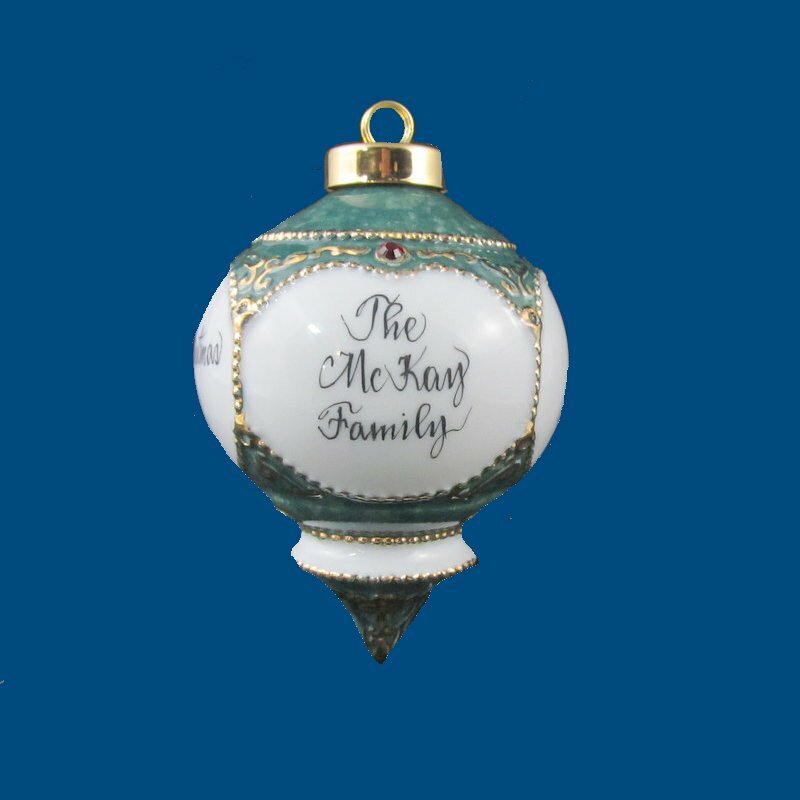 Bev personalizes all three sides of this decorative ornament with an individual or family name, holiday saying, such as, "Merry Christmas 2018," and an inscription from the gift giver, such as, "Love, Sandy and John." This Christmas ball is such a special holiday gift! A gift box with tulle ribbon and enclosure card is complimentary with your purchase.